Item#: 7229 Closeout! Price Drop! Bright color accented with cream give this cooler, done in 600d polyester, a casual, fun look. Outside you'll find an open pocket for small items such as a phone and keys. 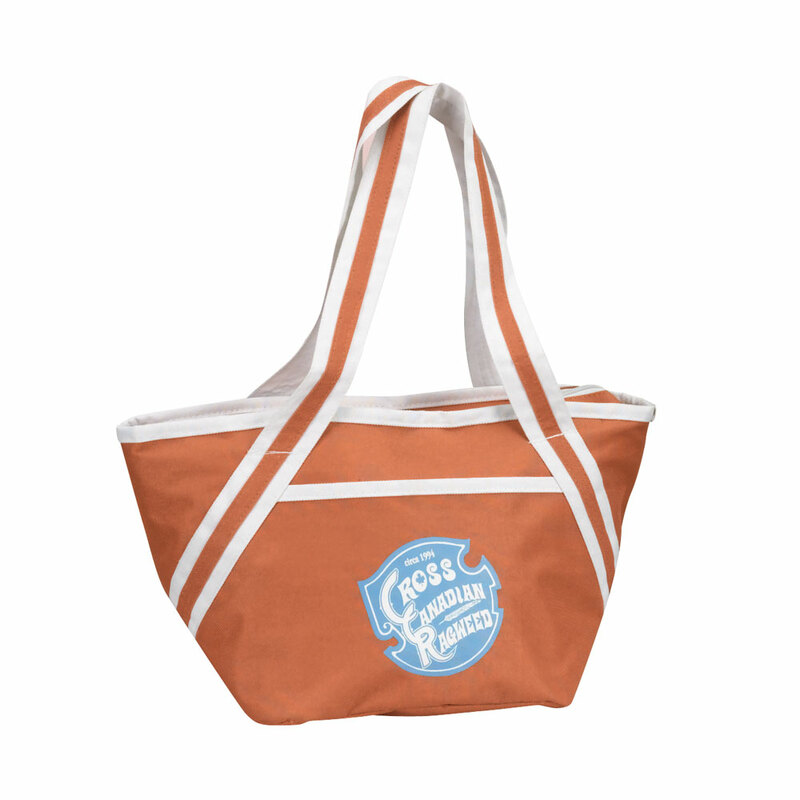 The zippered main compartment is fully insulated to keep food and beverages cool. It can store up to 10 cans. Prop 65 compliant! Embroidery: On front pocket approx. 3.5" x 2 3/4"H.
Product Size: 13 1/2" x 7 1/2"H x 7"
Pack Info. : 48 pcs / 35.00 lbs. Pack Note: (Dimension Weight) / 28 lbs. (Actual Weight) / 24" x 16" x 15"